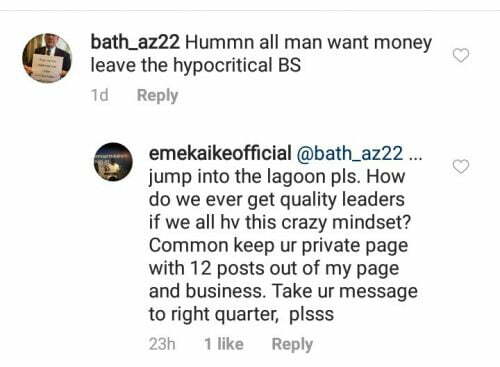 Nollywood actor, Emeka Ike, replied trolls harshly after some of them came for him on social media for his sudden political ambition. The actor, had revealed yesterday, that he will be running for the House of Representatives under the platform of the Young Progressive Party, YPP. 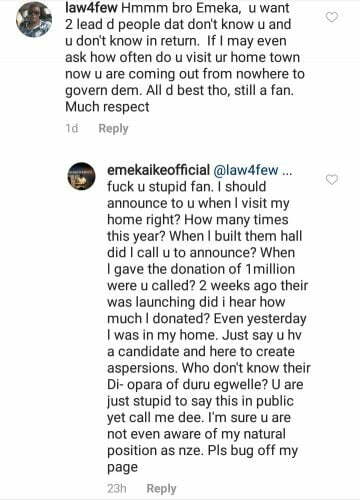 Following his announcement, some fans attacked him on social media, while some doubted his credibility and responsibility to his community.